Over the past few years, several court cases between the United States and U.S. taxpayers – most notably the Veritas case – have brought the valuation of intangible property and related transfer pricing issues to the forefront of corporate tax planning. 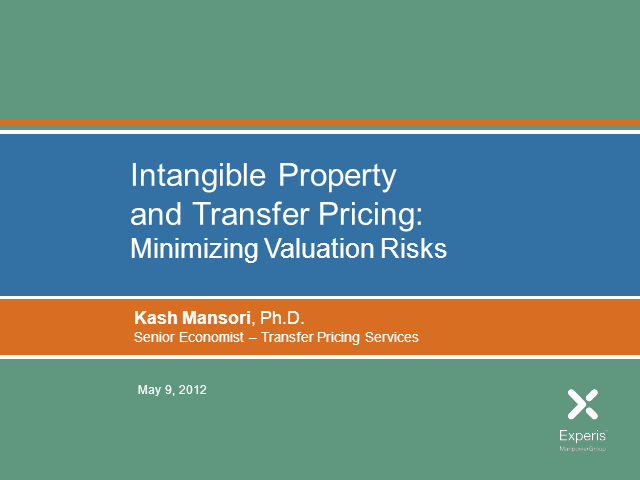 How intangible property is valued and how its transfer pricing should be established and defended is a strategic consideration every global organization must consider and address. This webinar will help you understand the issues and better evaluate the tax risks associated with intangible property.